The next set of free games have been announced. As always, both Xbox One games are yours to keep as long as you have an active Gold membership, while the 360 games are yours even if you drop to Silver. Kicking off the month for Xbox One will be Forza Horizon 2 – 10th Anniversary Edition. This is the open world form of the racing franchise with a bonus pack of some of the series cover cars. Picking up on the 16th will be FOR HONOR. Ubisoft’s combat game that puts you in one of three factions to battle to the death. A world of beauty and freedom awaits in Forza Horizon 2! Explore a beautiful open world with dynamic day, night and spectacular weather effects in stunning 1080p. Drive 200+ cars in epic road trips through a massive, wide-open world of freedom. Action-packed driving gameplay rewards you for showing off your style as well as your skill. Instantly connect with friends online with no lobbies and no waiting. 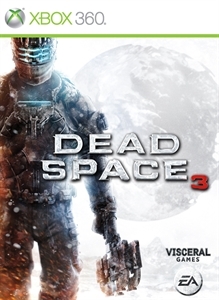 For the 360, players will start the month with Dead Space 3. The last title in the survival horror franchise by EA. 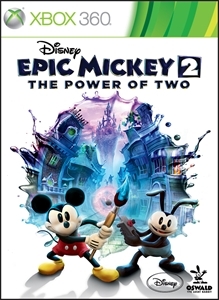 Closing out the month on the 16th will be Epic Mickey 2: The Power of Two. A co-op adventure with some of Disney’s classic characters and environments. Unleash the power of the brush in an all new co-op adventure. Join Mickey and Oswald in an epic battle to save the magical world of Wasteland and change it forever. Interact with your favorite characters like never before in the most heroic adventure yet.